Hope you had a wonderful Memorial Day weekend lovelies! I had a blast getting out in the sun, enjoying some time off, and playing in the water. 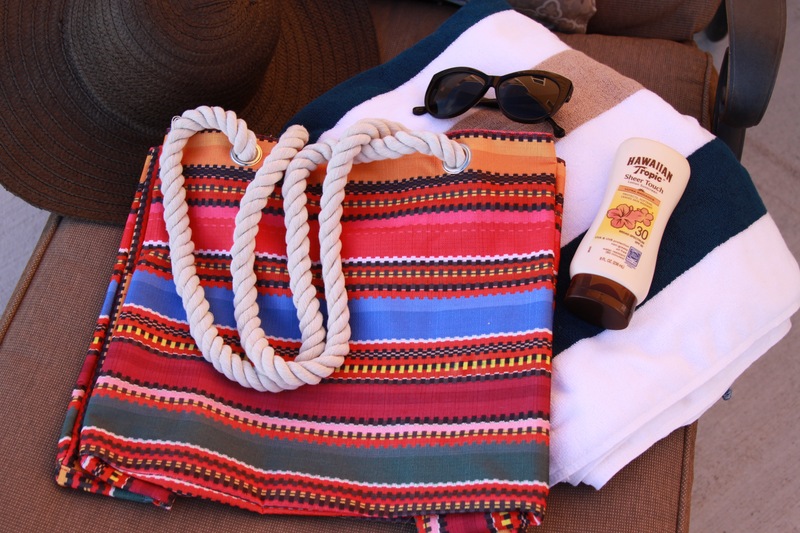 For my recent trip to the lake, I packed up all of my sun-must haves including sunscreen, a big floppy sun hat to keep the sun off my face, bug repellant, sunnies, a water bottle to stay hydrated, my ipod and headphones for listening to my favorite summer tunes, and a big comfy beach towel for relaxing on! I normally am scrambling to the car in handfuls trying to get all this stuff packed up but I recently came across a gorgeous, HUGE, super sturdy tote perfect for packing up all my belongings for the beach AND everything fit in it with room to spare! 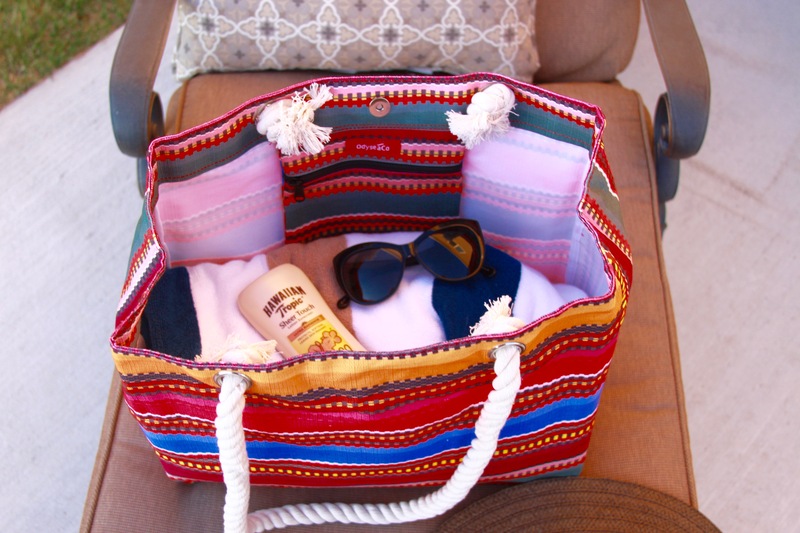 The super chic Baja Beach Bag by Odysea co is the perfect tote to help me stay organized this summer, not to mention save me the hassle of having stuff for the beach spread out everywhere in my car! This handy bag keeps it all in one place! The lightweight beach tote is super strong and durable and made to last! You won’t have to worry about it breaking under pressure either! It is incredibly strong! The super soft shoulder rope is also so strong and holds on tightly, that even if you got this bag filled to the brim and with lots of heavy stuff, it’s still going to work perfectly for getting you and all your things to the lake! And it’s easy on your shoulder too! The bag is made using ripstop fabric and reinforced stitching so it is water-resistant, super durable, high-quality, sturdy, and it won’t tear or rip either! It also has a handy inside zipper pocket to securely store your valuables and two handy side pockets perfect for toting your water bottle, sunglasses and more! This bag is perfect for the beach, picnics, the park, summer BBQ’s, the lake, sporting events, road trips, holidays, camping, shopping and more! Interested in picking up this gorg summer tote for yourself? Buy it HERE On Amazon For Just $24! *Thank you Baja Beach Bag for Sponsoring this post! All thoughts and opinions expressed in this post are solely my own. I only share reviews with my readers, I feel will be beneficial or informative in some way.